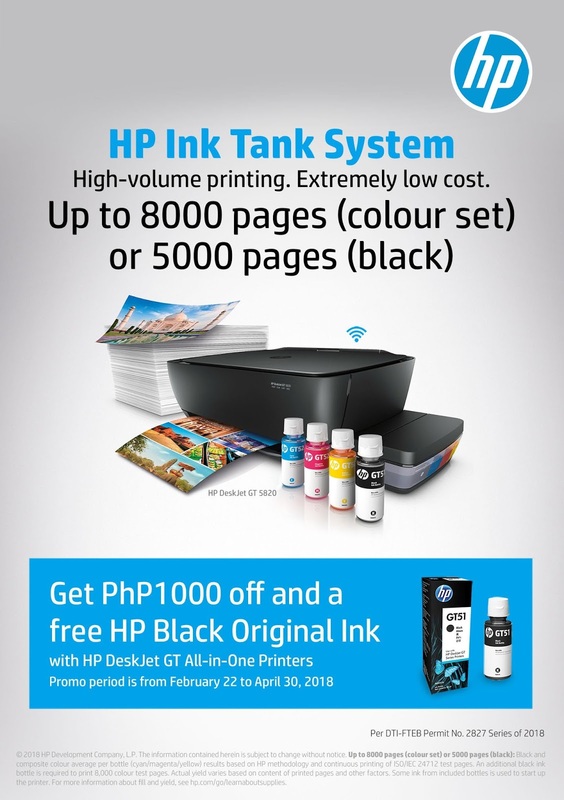 Get P1000 price off and free ink if you purchase an HP Deskjet GT All-in-One Printer! 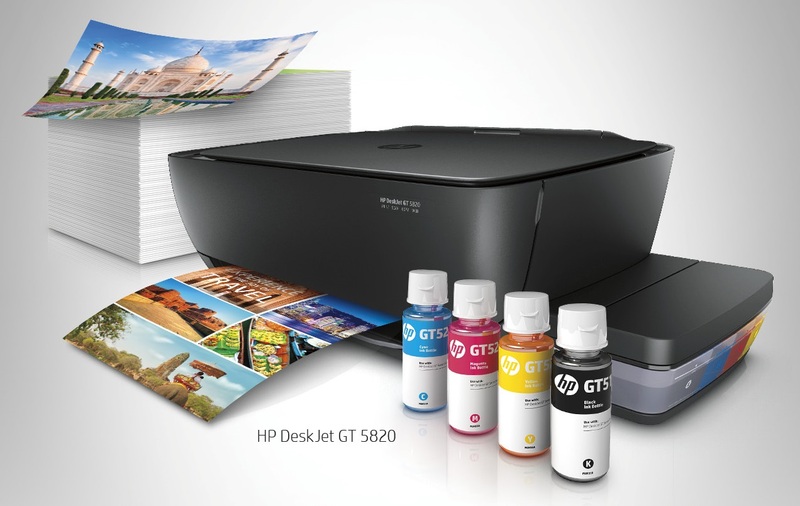 Users can now enjoy a thousand prints at a low cost with HP's DeskJet GT All-in-One Printer Promo. Every purchase of HP DeskJet GT 5810 or 5820 All-in-One Printer, you'll get a P1,000 discount and a free bottle of HP GT51 Black Original Ink. Now, that's a good deal! Likewise, consumers can easily monitor ink levels and enjoy efficient spill-free refills with its transparent ink tanks. Users can also connect their smartphone or tablet to the printer with the HP All-in-One Remote app that allows direct printing, scanning, and copying from any device so everyone can accomplish more tasks. Hurry up and go to any authorized HP reseller nationwide and get your own HP DeskJet GT All-in-One Printer at a discount with free HP Black Original Ink to enjoy quality printing. Promo runs until April 30, 2018. 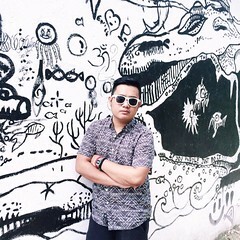 Visit www.hp.com or see posters and print ads for more details.